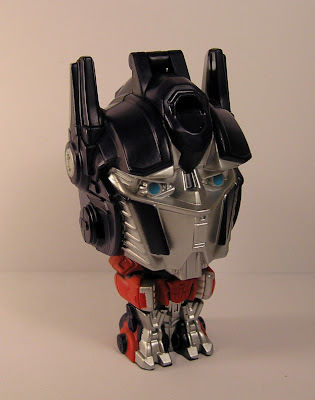 Burger King served me the head of Optimus Prime! Oh nevermind, his body is inside his head? 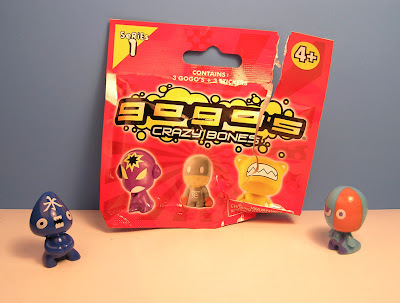 Fast food toys are always weird. That's more of a generation 1 season 4 Headmasters deal, than a Dark of the Moon plot, I hope. Its okay though, he is a good stand alone figure of Prime. He say's "Autobots Roll out" with press of chest button Autobot sign. Not sure If I will go back for more, I lucked out with the best one today. 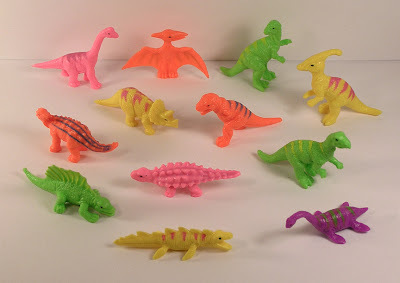 The Best 48 Vinyl Mini Neon Painted Dinosaurs! 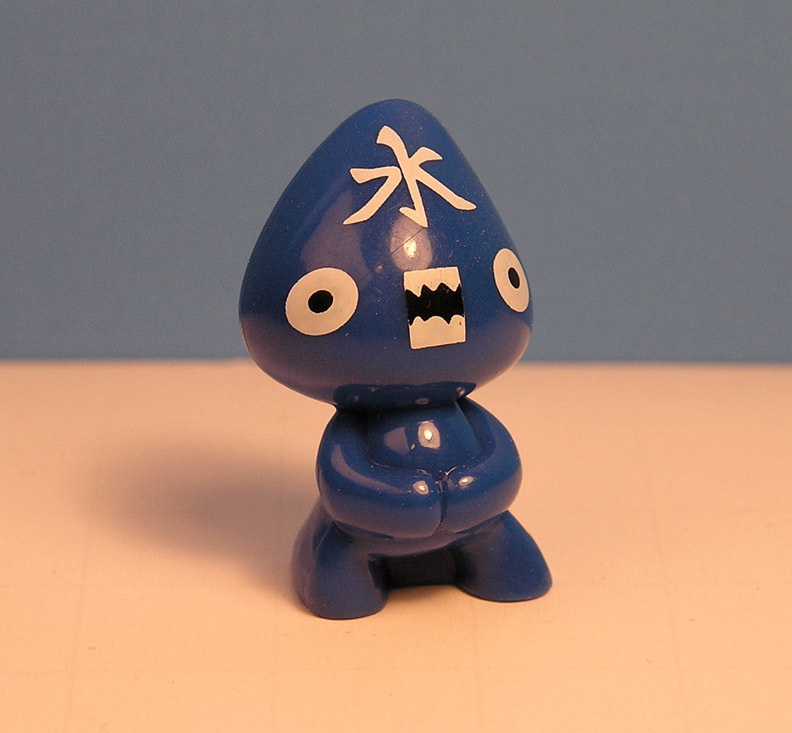 Plastic drool! So many kinds! 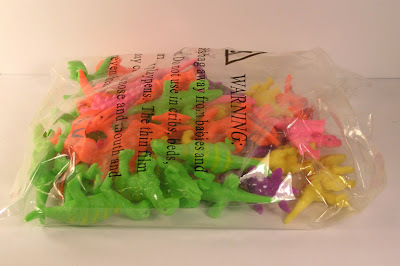 I think there was two bag options, each dino has its own color, but two different color options per bag choice. 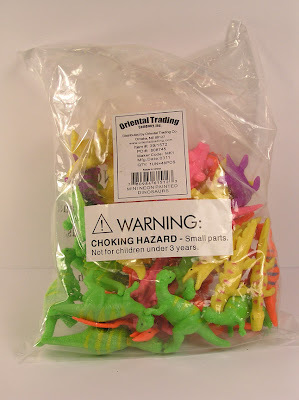 I picked the bag with the bright red T-Rex vs the yellow as I already had a yellow one. 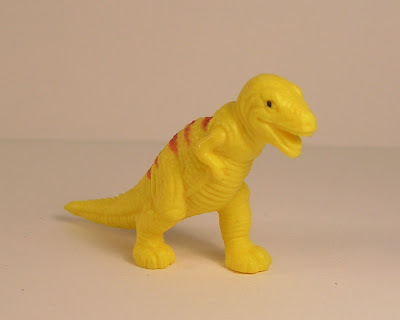 A red T-Rex is more menacing anyways. Yet right now, I am thinking of going back and getting the other bag. So there you go, 12 different dinosaurs in awesome bright neon fashion. 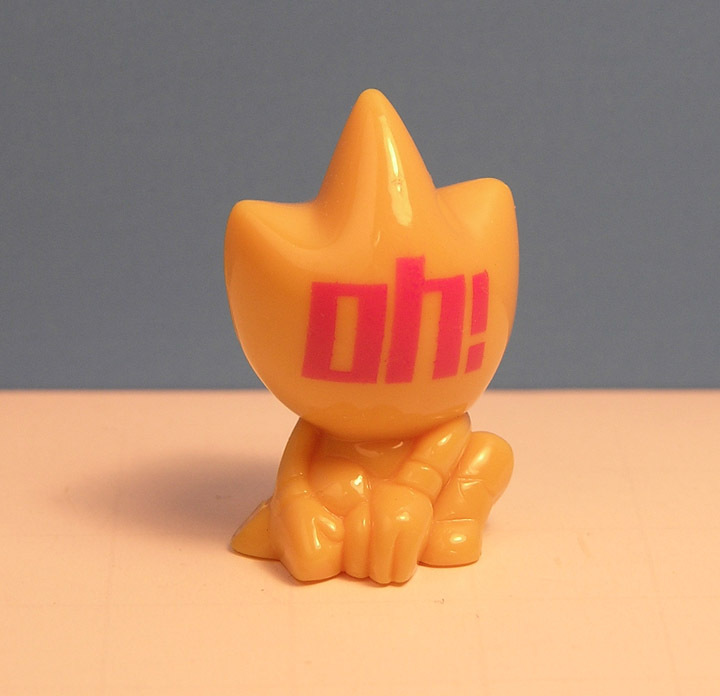 The Vinyl is so-so soft, but not too squishy. The texture feels leathery, and many have spikes and fins. The painted on stripes are simple but striking. They're about a couple inches long, by an inch tall or so. 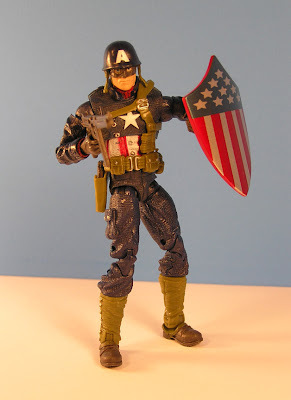 The super hero movie I would like to see the most this summer in a summer of "Sort-of-See" super heroes is Captain America! Believe it or not, I have yet to see Thor, X-Men First Class, or Green Lantern. 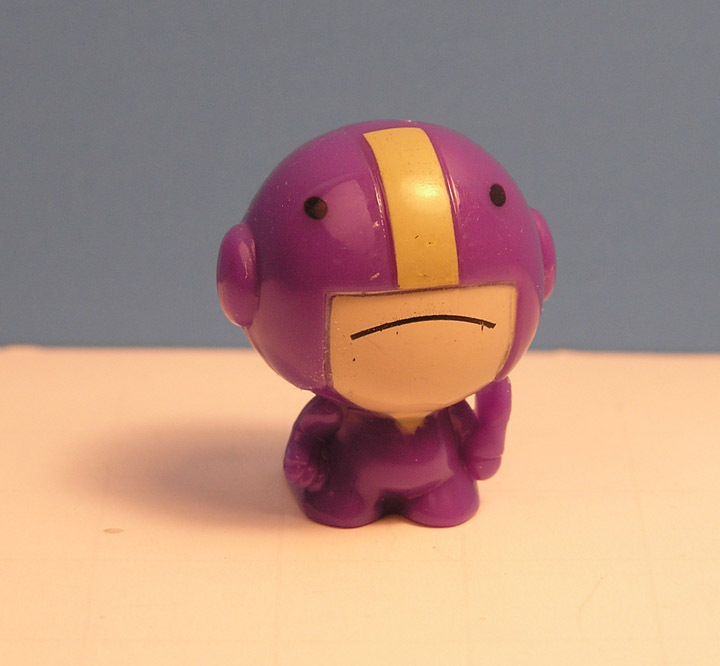 There are just too many super hero choices this year, which makes me all the more uninterested. I miss the days where its just one "must see" movie. So far, Bridesmaids was way better than another superhero origin story, and Super 8 was the best wink at the 80's style since well, the 80's. 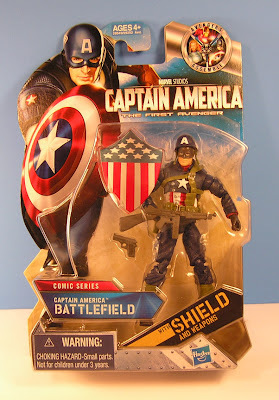 I'm just bummed they didn't have Captain America ready for 4th of July Weekend. What's up with that??! I only planned on getting the comic series Battlefield version because he looks so GI Joe compatible. 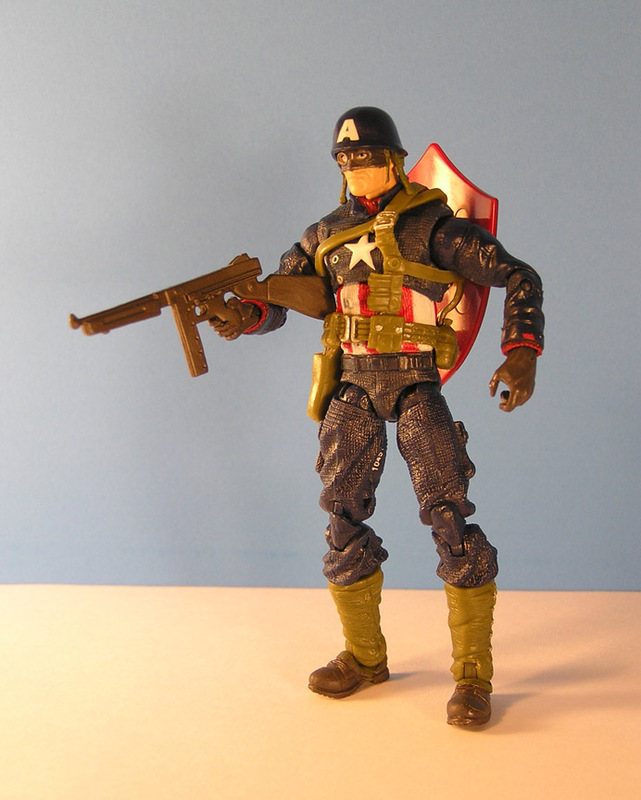 I wish Hasbro would use the same GI Joe figure build with the Captain America line (and other lines). 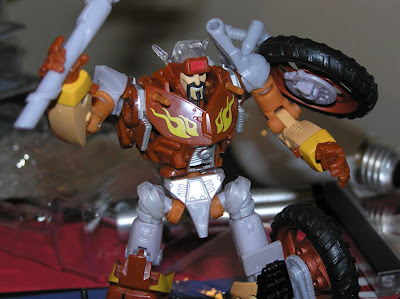 His hip joints, again, are a mess! 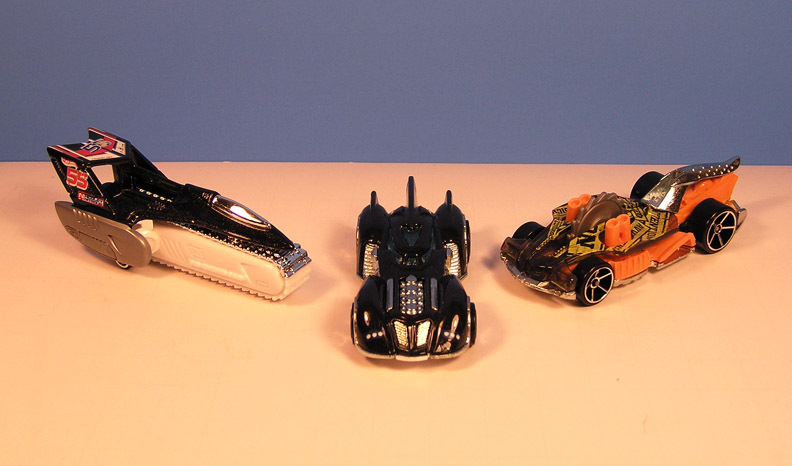 They are a little better than last year's Iron Man toys, but they still need work. The joints are very very stiff, breakable stiff almost. Its always a trick to get the joint turned and lined up so he can kick or sit. 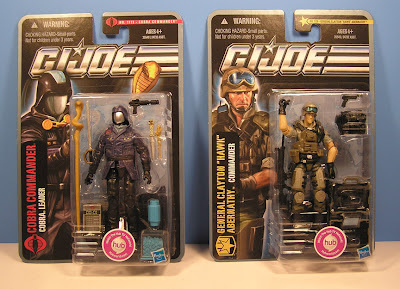 With GI Joe, there is no articulation fumbling. I guess its crouch accuracy they are going for. 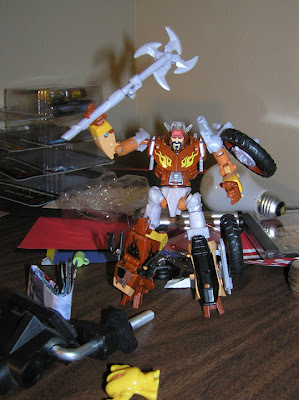 He does have pretty good feet articulation, both side to side and front and back. His hands hold the weapons well, and the shield has both clamp to arm, and post for back holding. No display base, which is a huge annoyance. 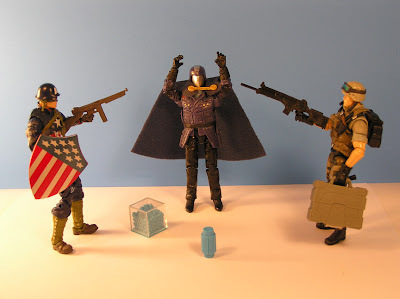 It didn't take long out of box for me to have a GI Joe Captain America team battle. There was a couple scary moments, but in the end, Hawk and Captain America cornered Cobra Commander and the Heavy Water cube. I have been wanting to try and do a deluxe review of action figures using Stop Motion and nice photos for awhile. The Pursuit of Cobra figures are perfect for that. It took about 9 hours to produce, so maybe I won't do these very often. 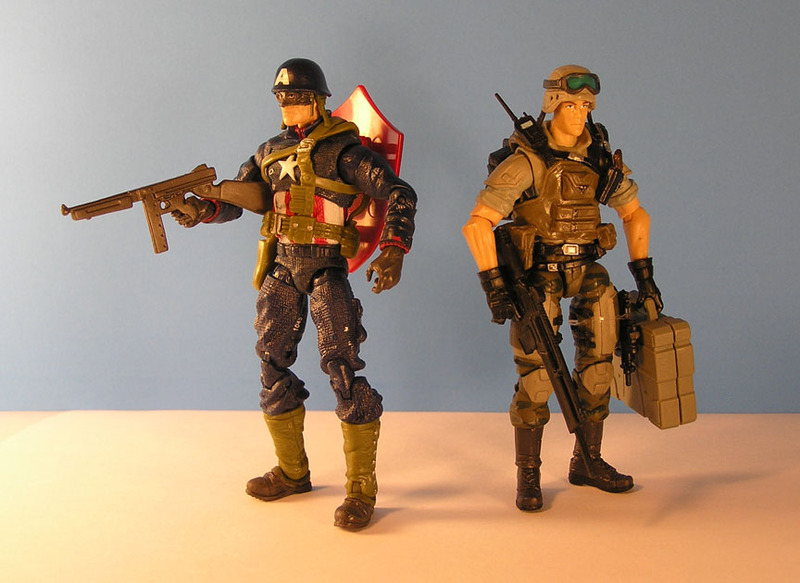 Both these figures are excellent, and I highly suggest you get them. 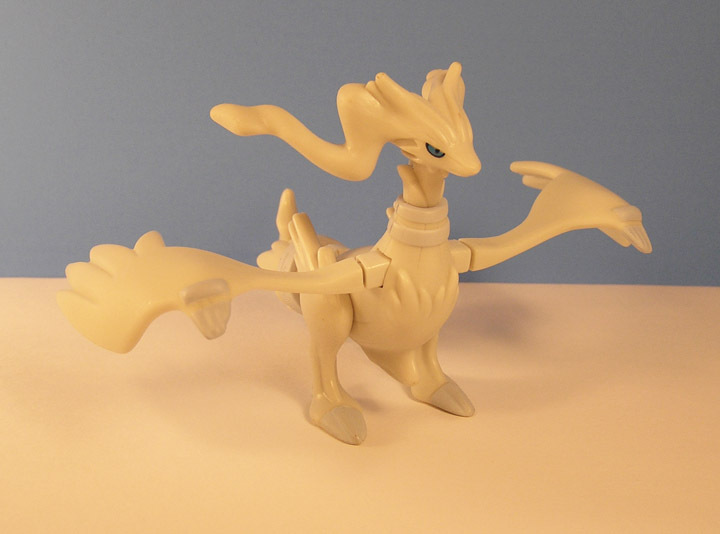 What is a Reshiram? I guess this is one. 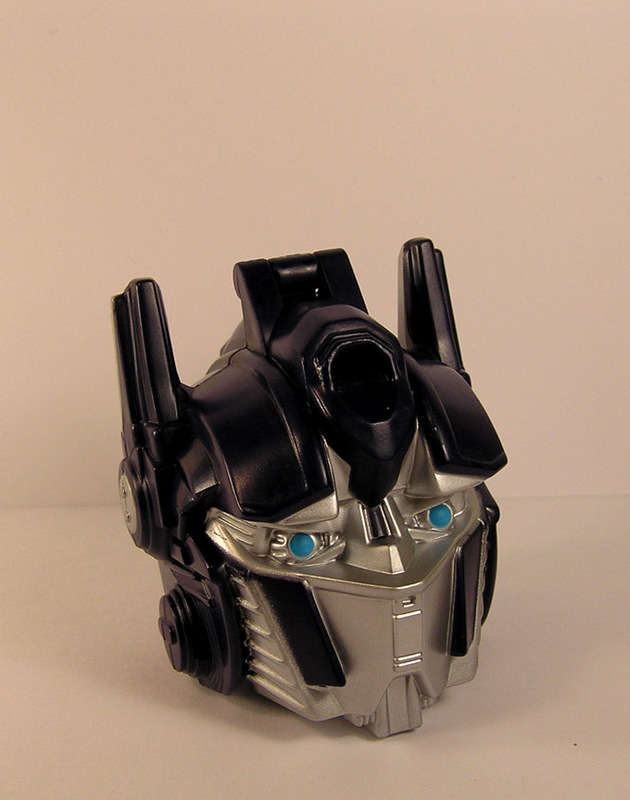 Its a pretty elaborate toy for a Happy Meal gift, it almost looks store bought. 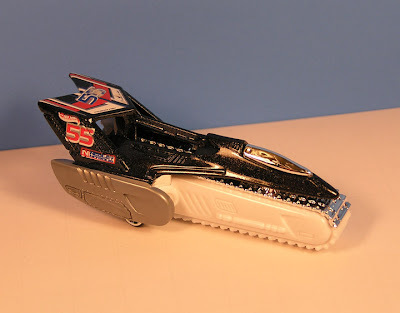 It's wings flap with a bit of shaking, and that's about it. The tail section looks like an action feature, but I guess not, unless I am doing something wrong. I have never caught a Pikachu before, now i have two, thanks to some poor coordination on my part. 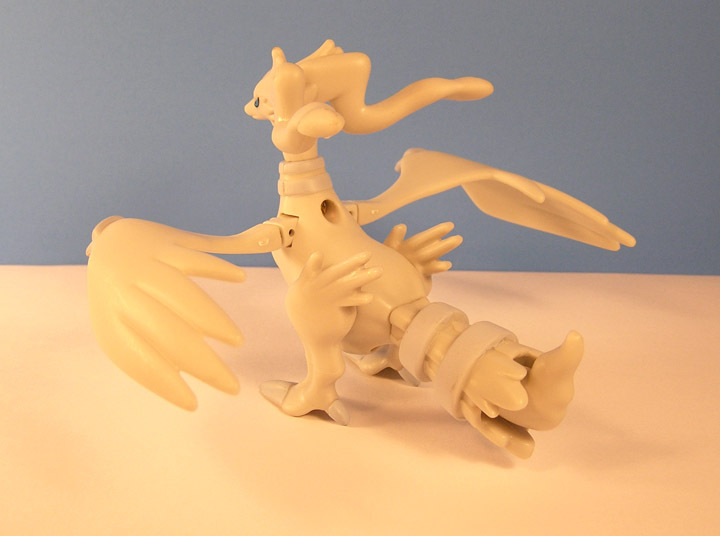 He lacks all the articulation that Reshiram has, but his cheeks do light up red with push of button on his back. Now for the worst part, I now have three Pokemon cards. Do you know how lethal this is for a collector of my status level?!! 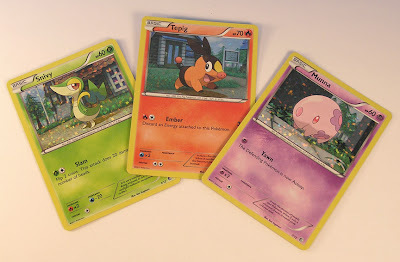 I need to give these away, right away!!! There are a lot of sharp looking Hot Wheels cars out this year. I am not sure how the Tread Air could really exist, but I would like someone to try and build one. 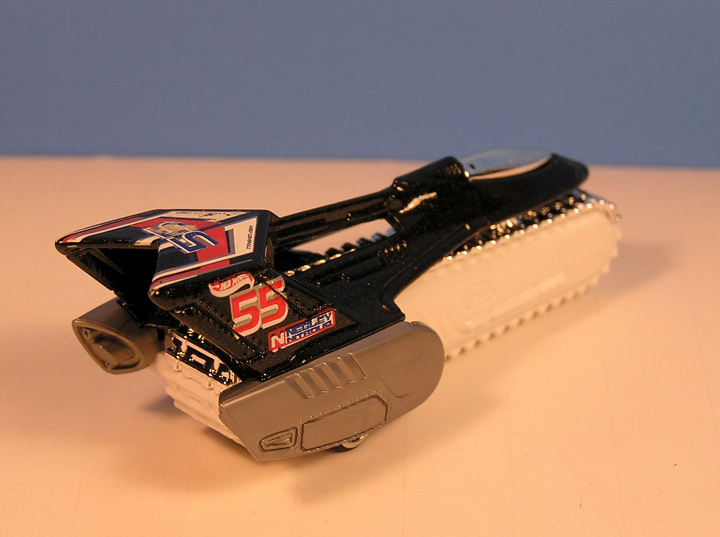 It has a half tread half chainsaw like look that screams Carmageddon! At the very least it will team up with Buzzerk and try and cut up the new Batmobile. It was only fitting to find Wreck-Gar the junk Transformer in a discount store next to a bunch of junk. 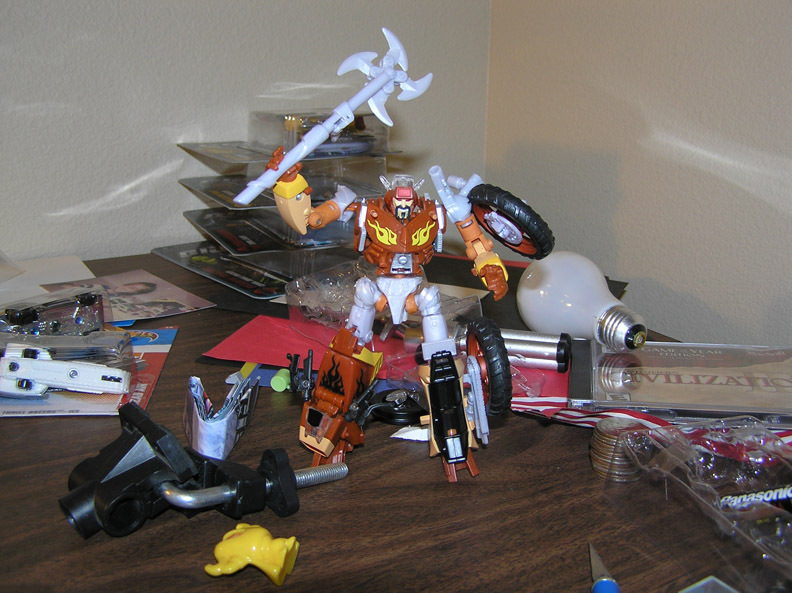 It is also fitting to take photos of Wreck-Gar in the most junkiest of desk corners. 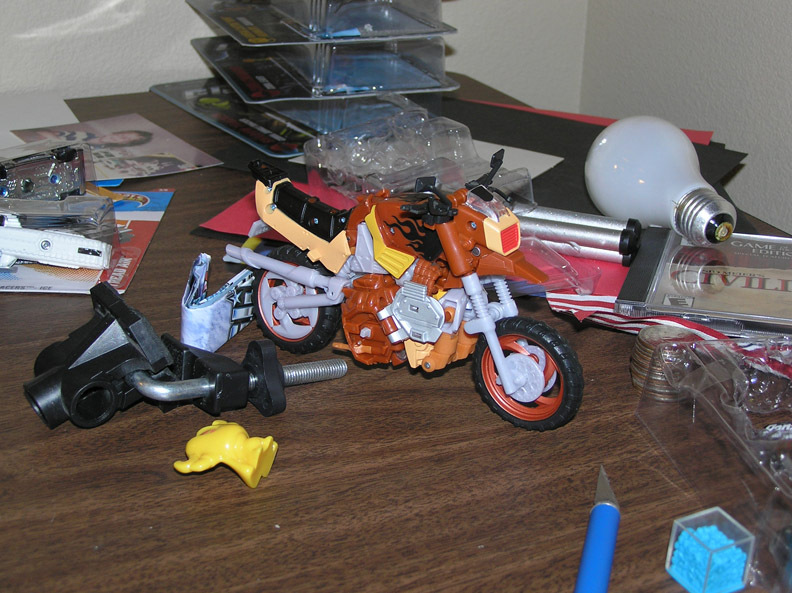 Its nice to get a motorcycle Transformer now and again, although being so accustomed to cars, its always a challenge to figure how the heck to transform them. Bike to robot is easy, and then back to bike is total infuriation. 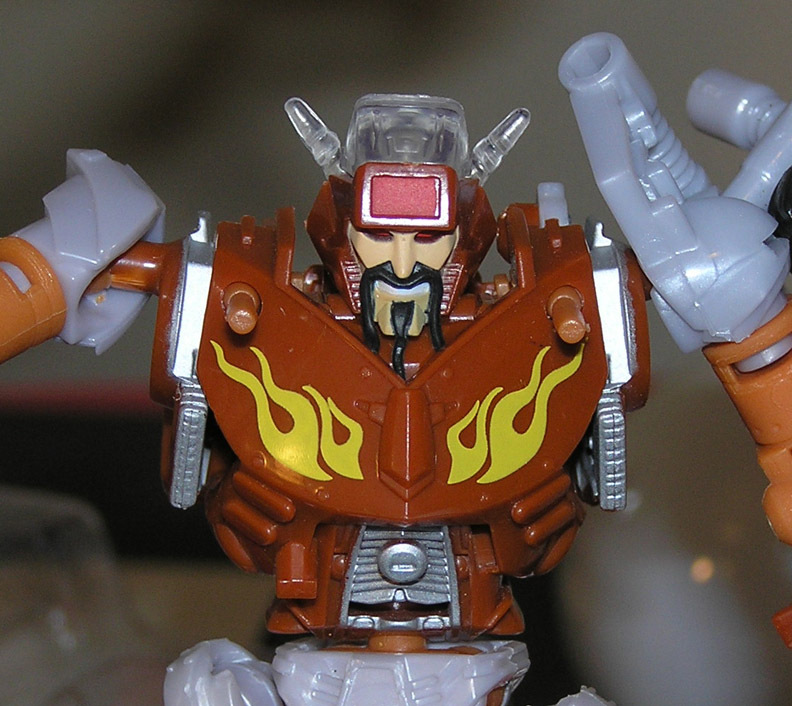 I'm so-so in liking this updated classic character from the 1986 animated Transformers Movie. I thought his chest plate would have a little more red-orange to it. 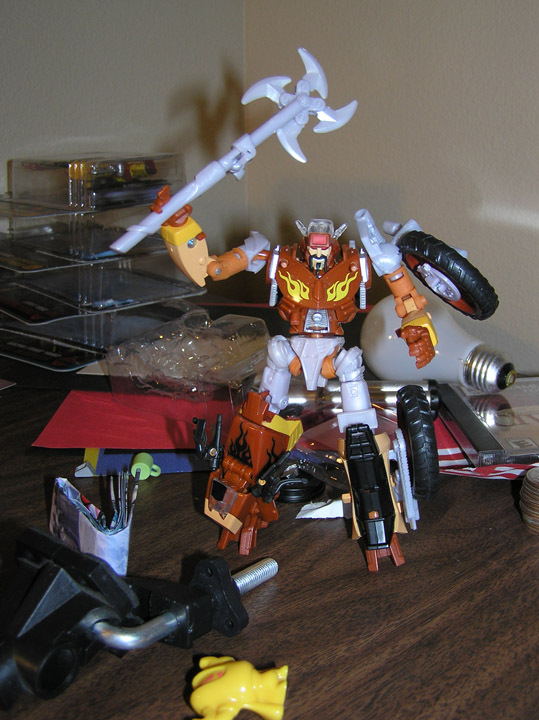 His weapons are nice, and integrate well into his body. The left foot has some nice auto transform with his handlebars folding inwards. 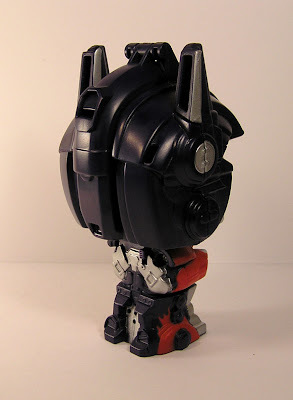 He does look unique, and will fit well standing next to other classics Transformers. 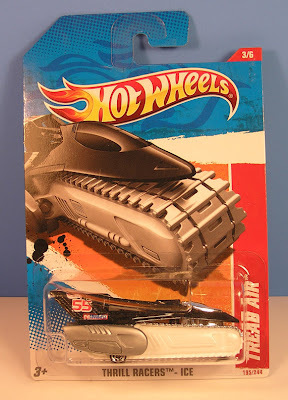 I don't love this toy, but I wouldn't pass it up. I have ran into these a couple times now, on those days where you have to buy something. 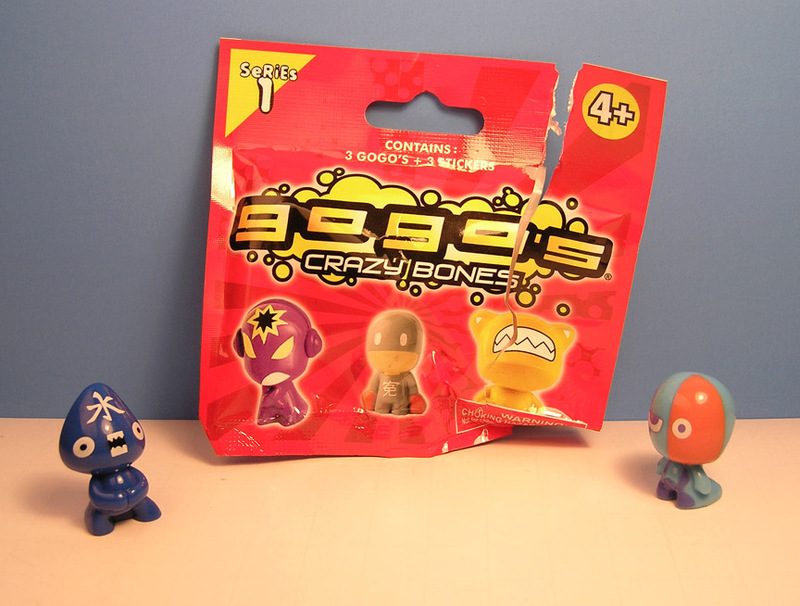 They're relatively cheap for one blind pack of three plastic figures plus stickers. Walgreens even gave me a free single figure pack once, thanks to an alert cashier. Addictive little guys, I am trying to keep a far reach from buying any more. 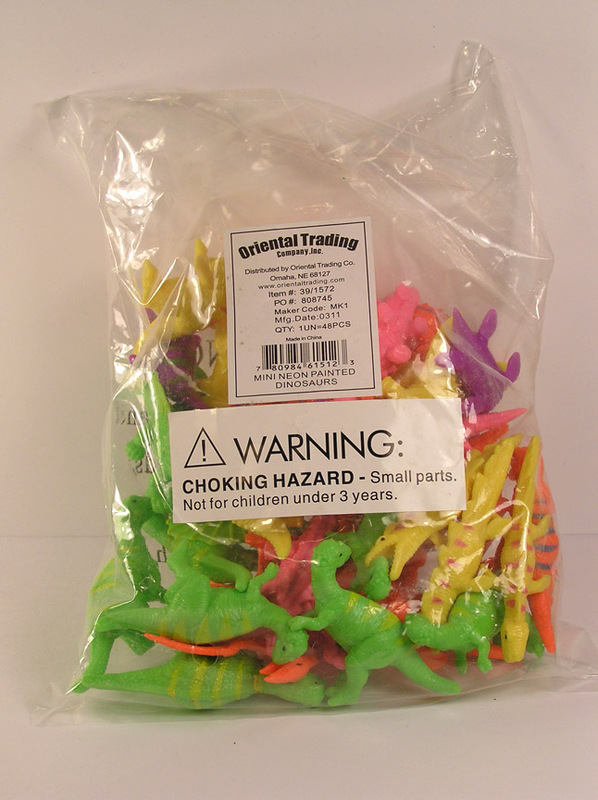 They are made of a lethal grade rock hard plastic, perfect for sling shots. Most have a simple paint application of some detail, word, or face. I guess there are about 80 in series 1, each with a special small number on the back, so you know what you get. I suppose they are like marbles or something to fling at each other. 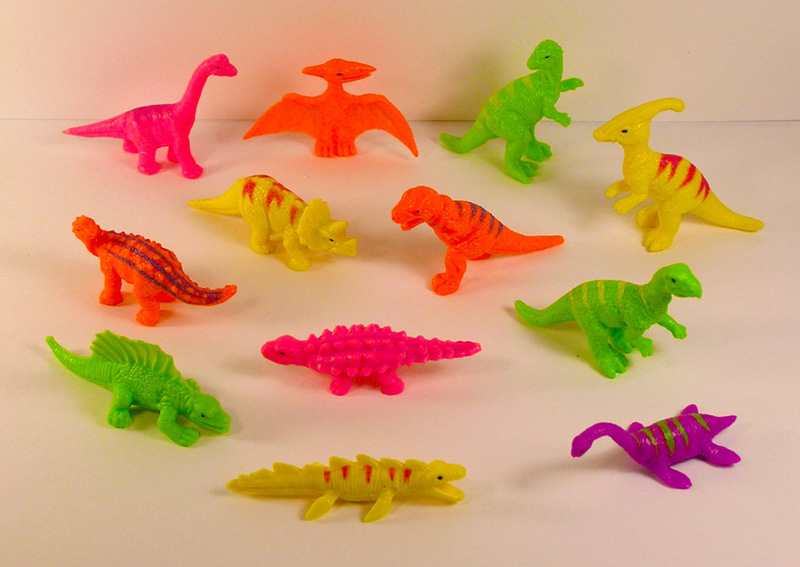 I am thinking dentists created these to break kids teeth. This final guy amuses me. Anyone want to translate for me? Its either some sort of "Mushrooms are bad for kids demon", or something Bob Dole uses for his ED. Quite a commotion today with Cheetara on the shelves. 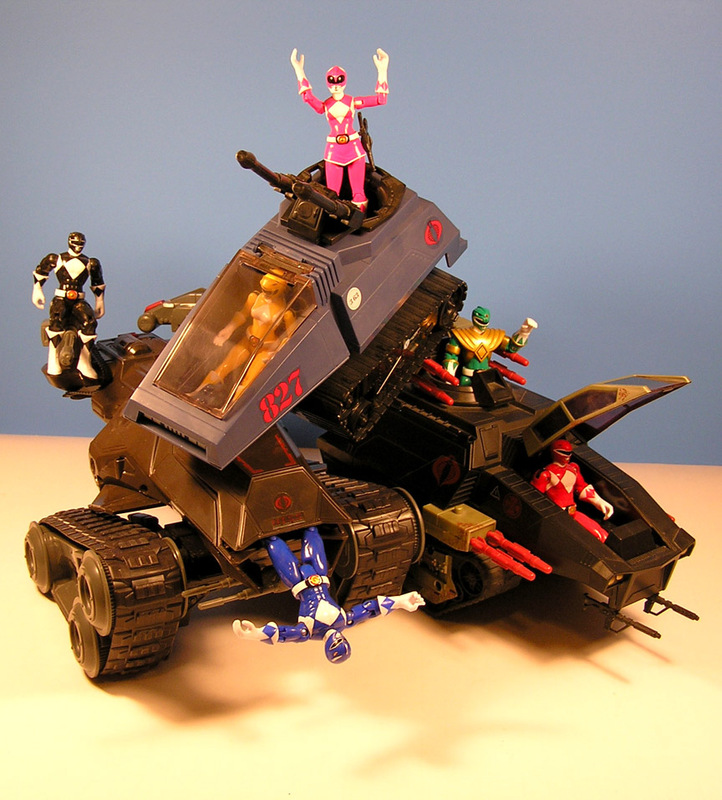 The other toys are fighting for a date, but more on that later. 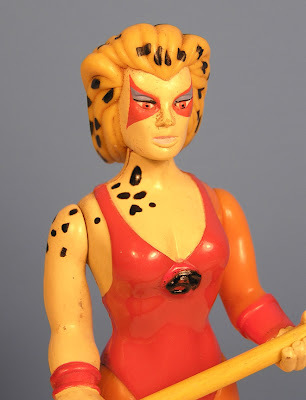 For now, lets take a look at what 15 bucks including shipping will get you for a vintage 1985 LGN Thundercat's Cheetara. 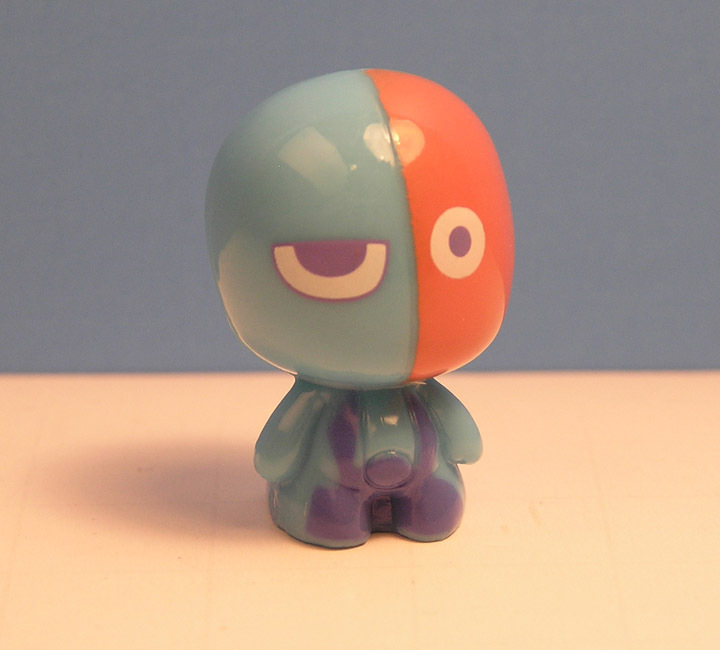 Here face is a bit grubbied up, but with a little moisturizer and toothbrush, we'll clean that up. She's in surprisingly good shape. 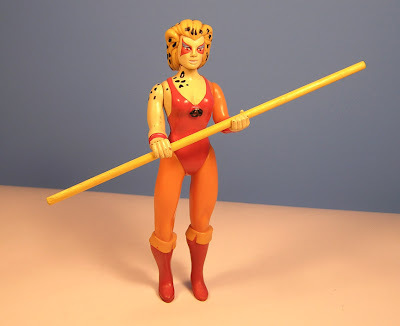 Fairly strong joints, action feature still works, and her head is attached (Toy Museum Legend; Dan drive's his sister's Cheetara in Thundertank under couch, Cheetara comes out the other side decapitated). 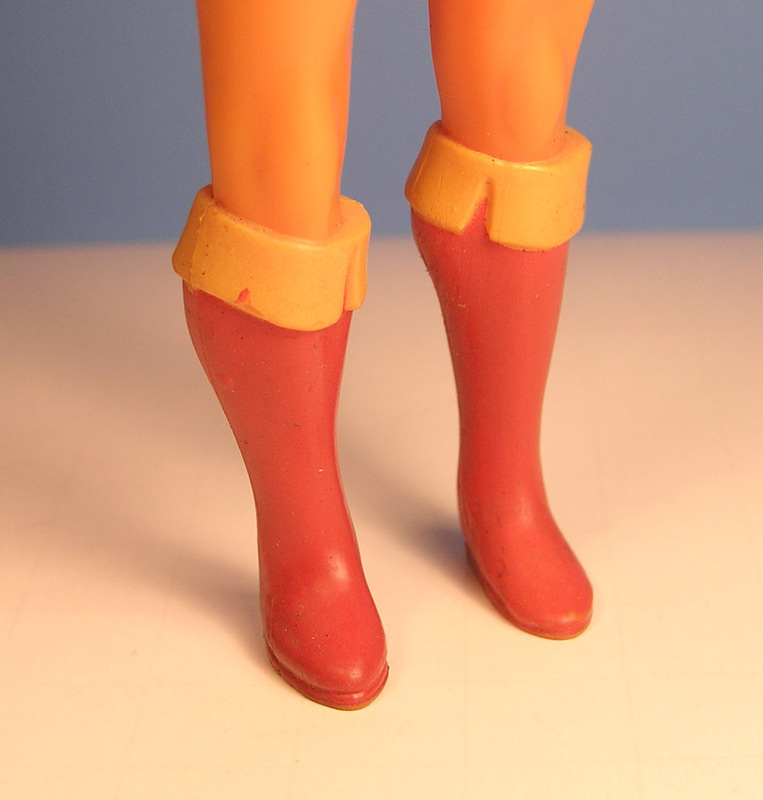 Fun Fact: Cheetara has relatively simple boots. Oh, and the bow staff weapon... Its a fake. I knew it going in, don't worry. It looks like it might be a yellow Tinker Toy stick. Works and looks like it should. 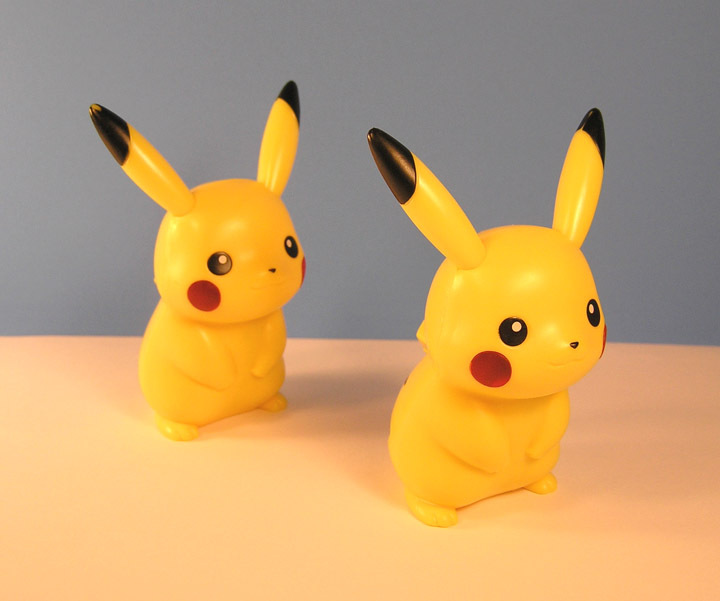 We like to spread happiness and joy around The Toy Museum! Watch ThatBoyWhite (The creator of the Snarf Snarf video (and who's name is from being so white from the absence of the sun)), opens up a box of vintage Thudercats we ordered up on Ebay last week. If its not noted in the video, I am very jealous of the Snarf figure, but I also got a Cheetara of my own, which I will post tomorrow. In anticipation for the new Thundercats cartoon, I have been re-watching all the old episodes. If you look, Walmart has season 1 volume 1 for 20 bucks! My pal ThatBoyWhite was insane enough to capture every Snarf Snarf from that season. ENjoy! 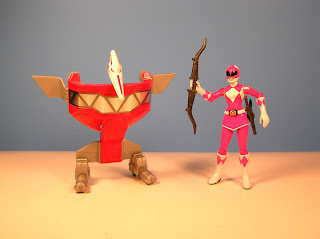 I finally can complete my modern day original Power Rangers collection with the addition of the Pink Ranger. Thanks to Why Did I Buy That Toy?, I was alerted to check the discount stores like ROSS, TJ Max, and Marshals. It looks like this Pink Ranger was from a second wave of Power Ranger toys. 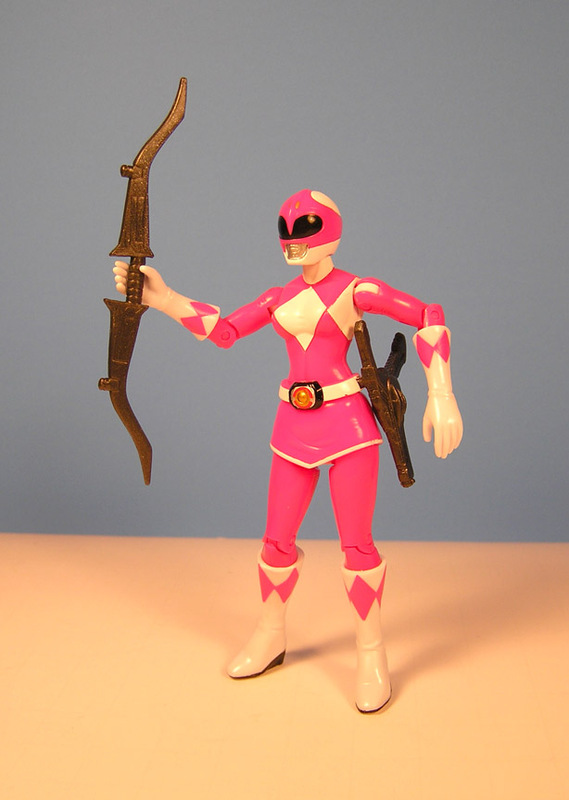 I guess the only bummer is her non existent display stand doesn't match the other Rangers golden bird feet stands. I also found by back of the box, there is a Lord Zed floating around. Darn now I have to look for that!!! 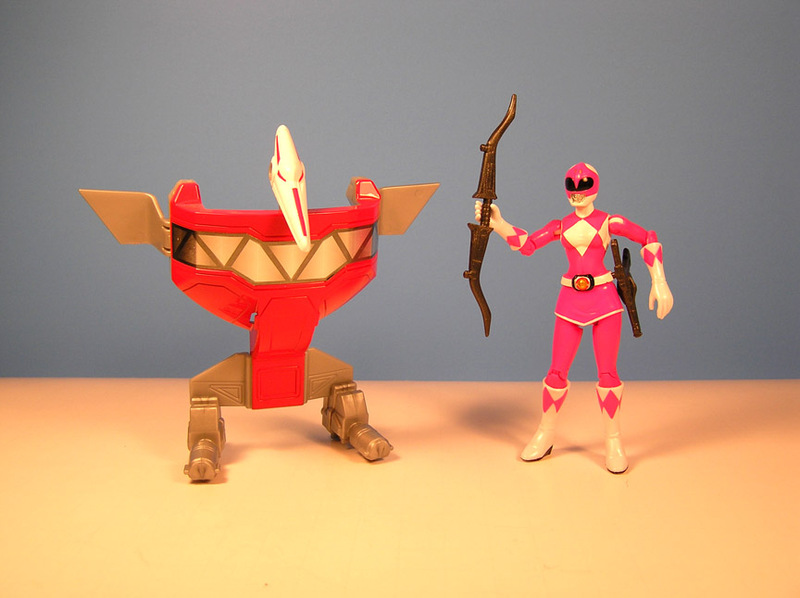 She doesn't come with this Terrordactyl Zord pictured, but with a crappy top that barely works for me,(the zip cord is not straight enough). Her dress limits her leg kicks, but you can't mess with the iconic pink miniskirt. So Yeah, really happy to pick this toy up for a good deal.